Twice elected to the Santa Monica City Council (1996, 2000), Feinstein was also unanimously appointed its Mayor from 2000-2002. In office, Feinstein made his mark on affordable housing, and tenant protection, environmental health and sustainability, parks and open space, public transit and human-scale development and civil liberties, living wages and local business. Regionally, Feinstein has served on a variety of Southern California Association of Governments committees and helped draft its Regional Comprehensive Plan. Nationally he was a member of the League of Cities and the U.S. Conference of Mayors and internationally represented Santa Monica on socially-responsible investing at the United Nations World Summit on Sustainable Development in South Africa. 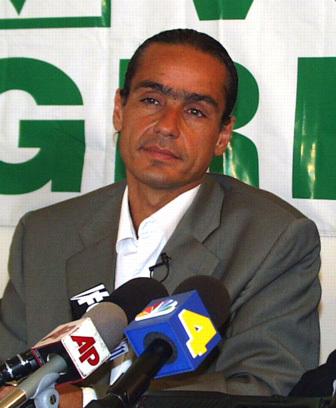 A co-founder of the Green Party of California, Michael Feinstein played an integral role in the successful 1990-1991 ballot drive of the Green Party of California and served in a variety of party roles since: from the Los Angeles County Council and State Party Coordinating Committee, to representing California at three Green presidential conventions and the Green National Committee, to twice serving as a international GPUS delegate to the Global Greens and once to the Federation of the Green Parties of the Americas. He has also written a book on European Green Parties and hosted a radio show called Green Perspectives on KPFK Pacifica station in Los Angeles. Feinstein's political goals are to elect more Greens, green public policy and transform the electoral system to a system of proportional representation with public financing, fair ballot access and debate inclusion for all ballot qualified candidates.